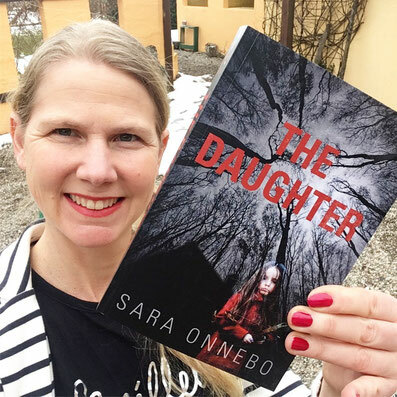 Book selfie - Website of saraonnebo! Book selfie! A box of my suspense novel The Daughter arrived in the snowstorm from the printer yesterday. To have one of my books published in English is a dream come true!